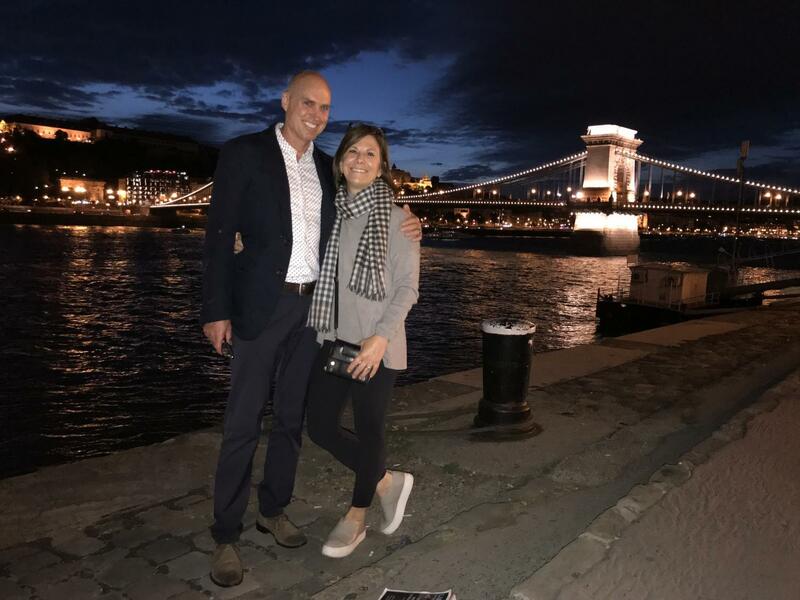 Gregory and her husband enjoy their soon-to-be home in Budapest, Hungary. The couple will reside in Budapest for the next two years before returning home to Laguna. 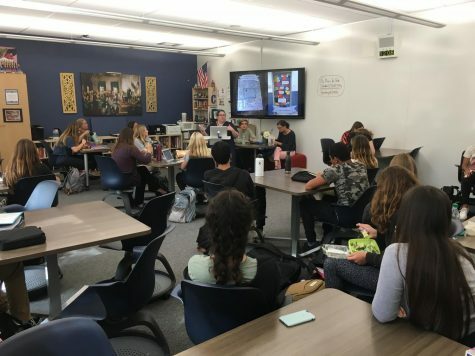 Amid the excitement and elation of the Homecoming Pep Rally, LBHS students and staff received some unexpected news: Beloved Scholarship Foundation Coordinator and College and Career Center expert Lynn Gregory announced her imminent departure from LBHS. Gregory announced to the school that she and her husband would be moving to Budapest, Hungary at the start of Thanksgiving break so that her husband can pursue a professional opportunity as the managing director of central and eastern Europe for his company. A member of the LBUSD community since her two sons entered the district years ago, Gregory has since filed numerous roles within the school system. 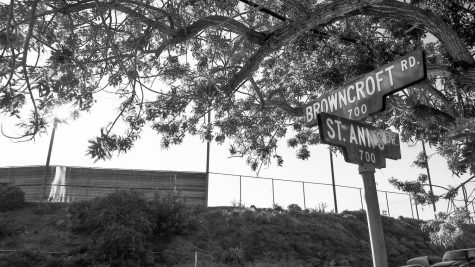 “She is a huge part of this community: She has been SchoolPower President, PTA President— she’s done everything. 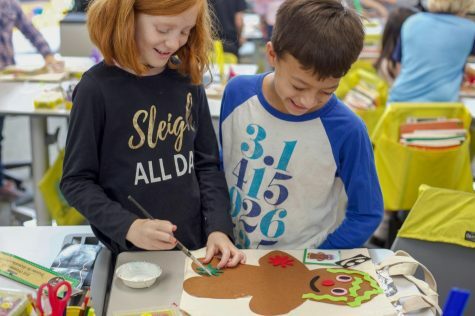 She is just one of those people that is always willing to lend a hand or help someone out,” said English teacher and close friend, Dawn Hunnicutt. In recent years, Gregory has been the friendly face that has drawn countless students into the College and Career Center. 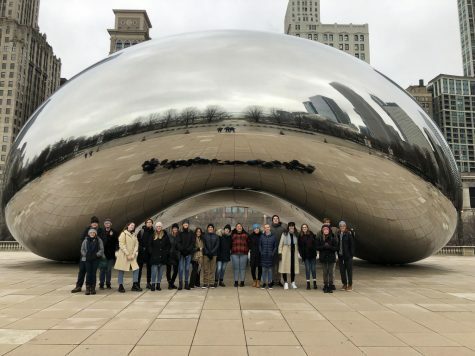 In creating such a welcoming environment, Gregory and colleague Ann Bergen have served as invaluable guides and provided resources to students figuring out what’s next after high school. In addition to working in the College and Career Center, Gregory functions as the Scholarship and Financial Aid Specialist on campus. Helping students gain both the tools and the means to further their education, Gregory has been an irreplaceable asset. “Mrs. Gregory has advised me through the college process. At any point during this year, I have felt comfortable going into her office and just sitting down and talking with her. She helped me calm down when I was nervous and motivated me to turn any anxiety into excitement,” said senior Addie Briggs. With Gregory’s departure from Laguna, we will lose one of its most dedicated community members. “LBHS will lose a true icon. She was committed to the community because she was part of it. For her, it was a labor of love working for the schools and the betterment of the community. We are losing an advocate for student support and families in our school district,” said Bergen. 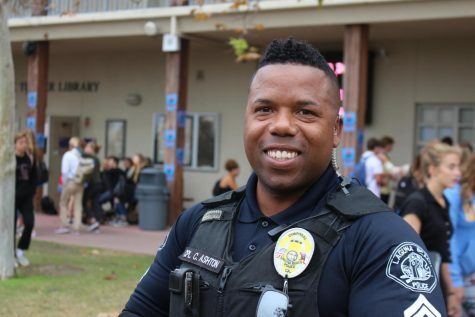 Throughout her time at LBHS, Gregory consistently demonstrated a bubbly demeanor and unwavering kindness that made her a dear friend to many of her fellow staff members. As she leaves, Gregory remembers much more than her professional achievements.